Why use an alumina ceramic material? Alumina is a versatile material that offers excellent mechanical properties. Alumina is used in the following extremely demanding applications: ballistic armour, grinding media, prosthetic implants, spark plug bodies, cutting tools & abrasives. > Alumina has a very high compressive strength – the grade of material we use has a compressive strength of over 2000 MPa (300,000 psi). 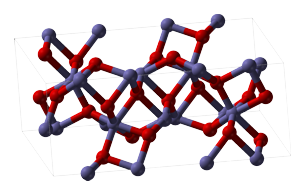 This is 2 – 4x stronger than reaction bonded silicon nitride. > Alumina has a lower density than other common engineering ceramics. The density is 3.65 g/cm3, 60% lower than zirconia. > Alumina has a very high Young’s Modulus (degree of stiffness) – our grade of 96% alumina possesses a Young’s Modulus of 300-400 GPa (or 43-58,000 ksi). In comparison, Steel has a Young’s modulus of 210 Gpa, Titanium 120 GPa, and aluminium alloys only 70 GPa. Alumina is significantly stiffer than zirconia with comparable toughness KIC values. > Alumina also has a very high hardness… harder than most ceramics, and any metal. In fact, most engineering ceramics are so hard, they normally require different testing procedures to metals as it is not practical to make the same economical test specimens! In comparison with all metals, hardness is best described as “off the chart!”. Each vertebra can theoretically support ~ 3.6 tonnes of force in the vertical direction. In comparison, the gear cables themselves break at approximately 160kg of tensile force. The simple answer is yes they are inherently brittle materials, but in the last few decades, there have been significant advances in ceramic technology. Advanced ceramic materials now exist (such as “cerium tetragonal zirconia polycrystals” or Ce-TZP for short) which surpass the toughness of some wrought magnesium alloys, and approach the toughness values of typical aluminium alloys. The principal advantages of advanced ceramics are: high compressive strength and stiffness, extremely high melting point, high hardness and therefore wear resistance, chemical inertness and low weight. The main disadvantages are: weakness in tension, relatively poor shock resistance and the difficulty to obtain complex shapes with close tolerances (which drives up the cost of manufacture). Nevertheless, by altering the design of parts and preferentially expose them to compressive forces, it is entirely possible to produce very reliable ceramic parts exhibiting vastly superior performance than those made from traditional materials. How do “advanced ceramics differ from clay and porcelain? Ceramics for engineering applications can be broadly broken into “traditional” and “new” materials. We define traditional materials as those produced from minerals mined directly from the earth. The newer ceramic materials, those with well defined and controlled properties are produced from nearly chemically and phase pure starting materials. What are the advantages and disadvantages of ceramic materials? > Much stiffer than conventional structural metals. > Very low coefficient of friction. > Extremely high melting point. What gives ceramic materials these qualities? Covalent bonding! Each atom is bonded to several others in a 3D interlocking macromolecular network. Metals have many “slip planes” which impart toughness. How are ceramic parts produced? Ceramic products are either cast (in liquid suspensions), extruded, or pressed (similar to forging) in what is called the “green” state, similar to the way metals are manipulated. After these initial shape-forming processes, they are fired (or sintered) at high temperatures to achieve their final consolidated shape. The temperature and sintering time is strictly controlled; it is dependent on the type of ceramic, the particle size and shape. The aim is to produce a product with close tolerances to the original desired shape in order to minimise (or even eliminate) the need for machining (which is expensive). There are exceptions, such as “reaction bonded” ceramics which undergo an in-situ chemical reaction with a gas, forming the final product with minimal dimensional change (this process is sometimes used with Si3N4). Where else are advanced ceramics used? Advanced ceramic materials are often utilised in extreme environments in which other materials simply cannot cope, such as: ballistic armour, joint replacements, high speed cutting tools, high-temp engine and brake parts, electronic components, thermal insulation. One of the best examples of the application of an advanced ceramic material is the manufacture of spark plugs bodies, which are slip cast from aluminium oxide. There are 4 of them inside every four cylinder internal combustion engine. The body of each and every spark plug must insulate the surrounding engine block from the strong electrical current which passes through its core. They are are continuously exposed to very high combustion temperatures inside the engine and must also maintain the high pressure which is generated by this severe environment. Yet spark plugs most often wear out or ‘break’ when the tungsten electrode erodes due to electrical arcing, not because the ceramic portion fails. Most people don’t stop to think about the widespread applications of ceramic materials such as this.